It's been said many times: Good things come in small packages. And we think nobody's taken this to heart in quite the manner that chef Dennis Leary has. He started with Canteen (four booths, seven counter seats) in 2004 and opened The Sentinel—a casual dime-sized cafe—yesterday. 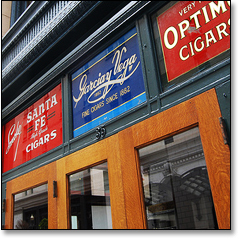 Given that the tiny downtown spot was originally Young's Cigar Store back in the day (and a pizza-by-the-slice joint more recently), you might immediately feel a gentleman's bond with the place…or instinctively crave a stogie. 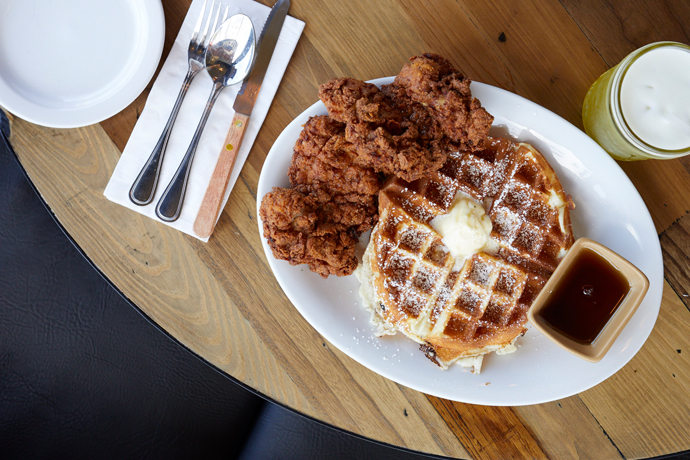 That bond/craving will grow stronger once you factor in fresh-brewed coffee and espresso coupled with an ever-changing menu of baked-in-house pastries (we like the coffeecake), granola and eggs. And that's just before noon. For lunch, Dennis will whip up goods like corn chowder, salads and a Smoked Salmon Brioche Sandwich, based on what's freshest that day. To find this miniature takeaway gem, look for the neighboring House of Shields sign, then squeeze in—you and four others might fit, if you've all been working out. Or you've all been smoking.